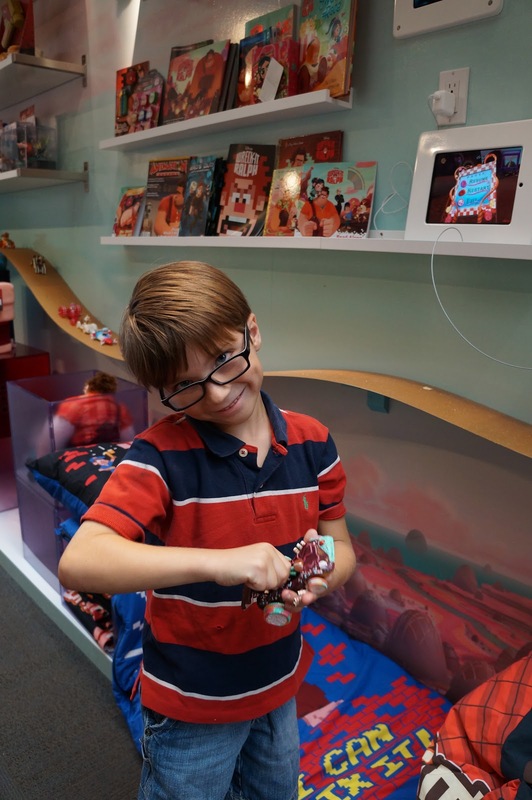 Orange County Mom Blog: Wreck-it-Ralph Opening Day! 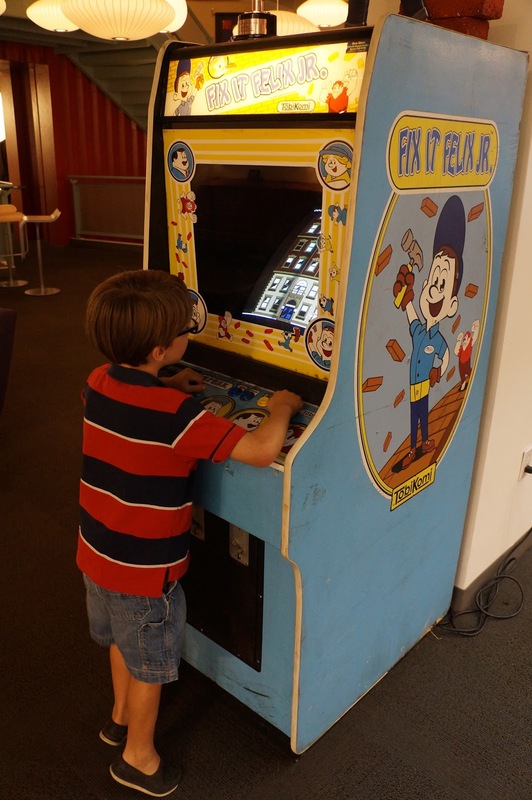 What did we do the night before the opening of Wreck-it-Ralph? 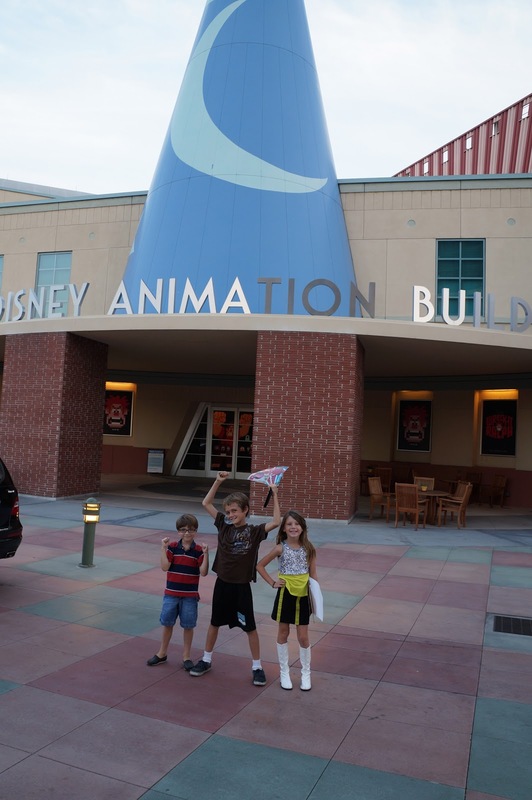 We celebrated at the Disney Animation lot of course. To top it off the kiddos got a chance to sit down and interview the voice of Moppet Girl, Stefanie Scott. 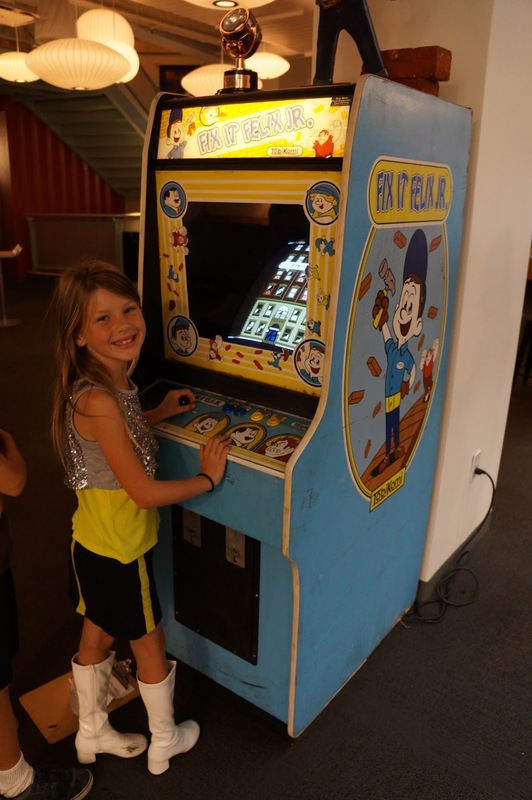 When we first got to the animation lot, the kids got crazy excited to see Fix It Felix Jr. the video game. It was almost impossible to pry them away from the game to see other parts of the studio lot. Ella just loved Ralph in the movie, and you can see it in her eyes as she interacted with this painting. 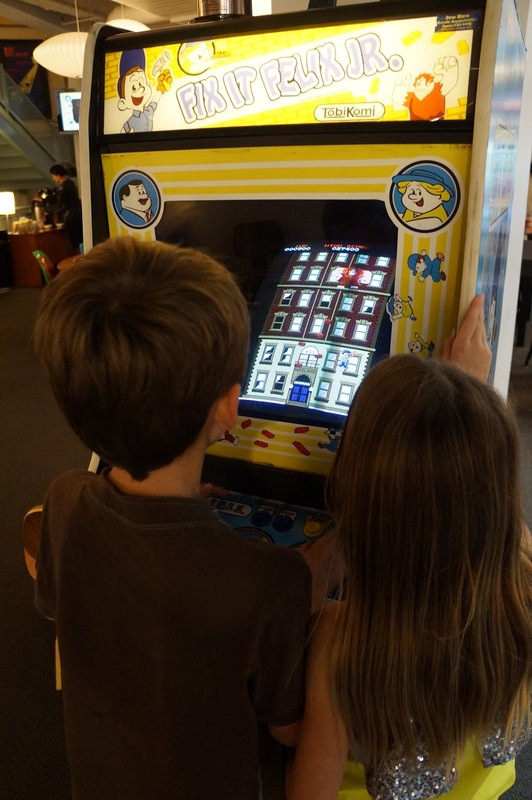 My kids are expecting Wreck-it-Ralph to be a smashing hit in the theaters tomorrow. 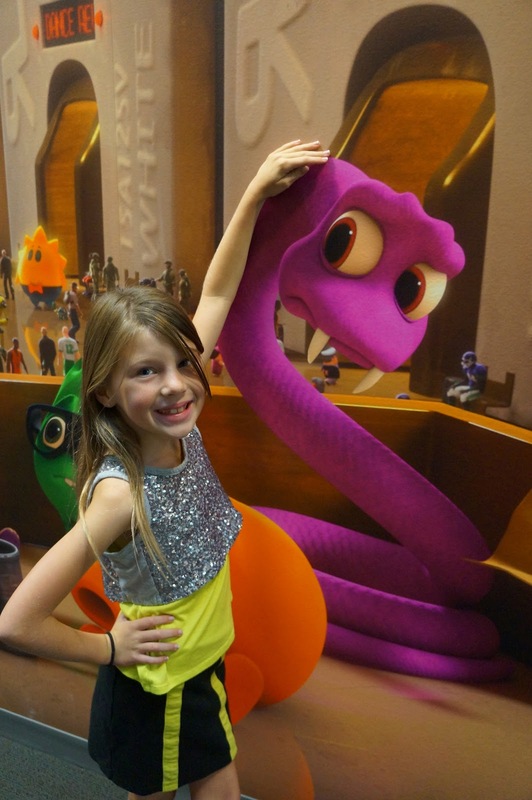 Ella even felt that Wreck-it-Ralph is as big of a hit as CARS. All Disney Animation hits need great merchandising to accompany the film. The kids had a blast playing with the toys from the movie Wreck-it-Ralph, and Tyler added a few items to his Christmas list. 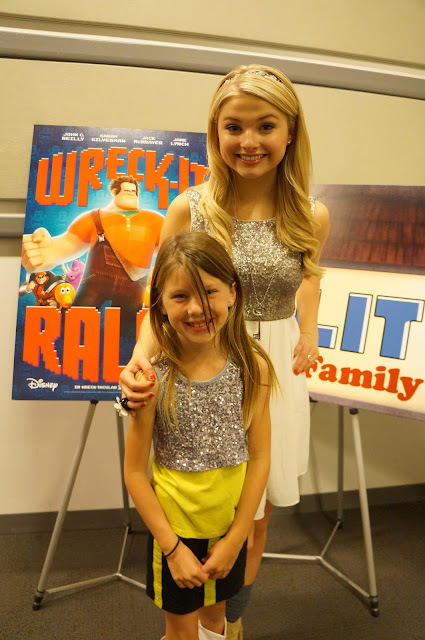 After we were done celebrating the opening of the smashing hit Wreck-it-Ralph, the kiddos got a chance to interview Stefanie Scott (the voice of Moppet Girl in Wreck-it-Ralph). The kids and I highly recommend seeing Wreck-it-Ralph in theaters tomorrow, November 2nd. Disclosure: We were offered the opportunity to interview Stefanie Scott at the Disney Animation Lot. We were not provided any compensation, and all thought and opinions are of our own.